Here for sale at Leigh Cars Ltd we have a superb low mileage example of the popular Ford Grand Cmax 1.6 Titanium 7 Seater 5dr MPV. This particular example comes with 2 keys and a brand new advisory free MOT along with a fresh service completed on the same day - Expires January 2020. This car also comes with a full service history with the last service just completed by us in January 2019. This car is ideal for a growing family, with an abundance of space and the extra two seats in the back, it is both versatile and practical for all requirements. With low insurance costs, £110 road tax and an impressive 58.9mpg, you can see why these are so popular. This particular car comes with a great list of specification being the Titanium model, this includes Automatic Lights, Cruise Control, Air Con with Climate Control, Bluetooth, Voice Control, DAB Radio, All Round Electric Windows, Heated Front Screen, On Board Computer and much more. 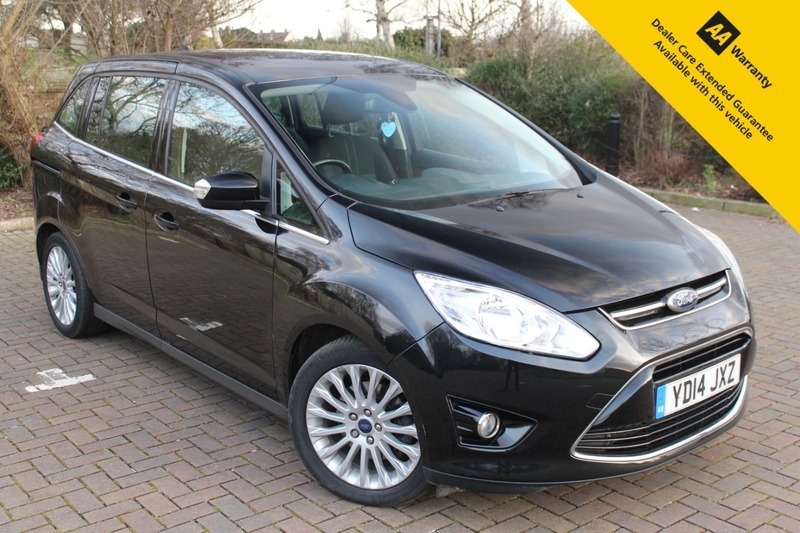 These Ford Grand Cmax's do not stick around long, so book in your test drive today or reserve me online to avoid any disappointment. As we are an AA ACCREDITED DEALER, with any purchase through Leigh Cars Ltd, you will also receive 12 MONTHS FREE AA BREAKDOWN ASSISTANCE. We offer very competitive LOW RATE FINANCE packages with ZERO DEPOSIT - Why not check out our finance calculator on our website where you can tailor a personal quote to yourself and even INSTANTLY APPLY FOR FINANCE! We offer PART EXCHANGE and NATIONWIDE DELIVERY and we also offer HOME APPOINTMENT SERVICE subject to conditions. We are RATED 5 STARS BY OUR CUSTOMER REVIEWS so you can be assured you are dealing with a company you can trust. Just search for Leigh Cars Ltd online to see what our customers have to say about their experiences.